Can function, whether or not the device is connected. Integration with a device’s file system. An embedded browser to improve access to dynamic online content. Intelligent App Solutions has extensive knowledge in building and deploying cutting-edge hybrid mobile apps. When comparing with a native app, hybrid applications are fast and easy to develop. It is undoubtedly an added advantage of hybrid technology. Our mobile services cover the entire gamut of hybrid app testing, development, and maintenance. •	The primary advantage of hybrid mobile apps technology is that it can offer unified development that leads to lower cost of development and, potentially, greater revenue. •	For companies who want to have their app in the app store quickly, hybrid application is an ideal solution for them. 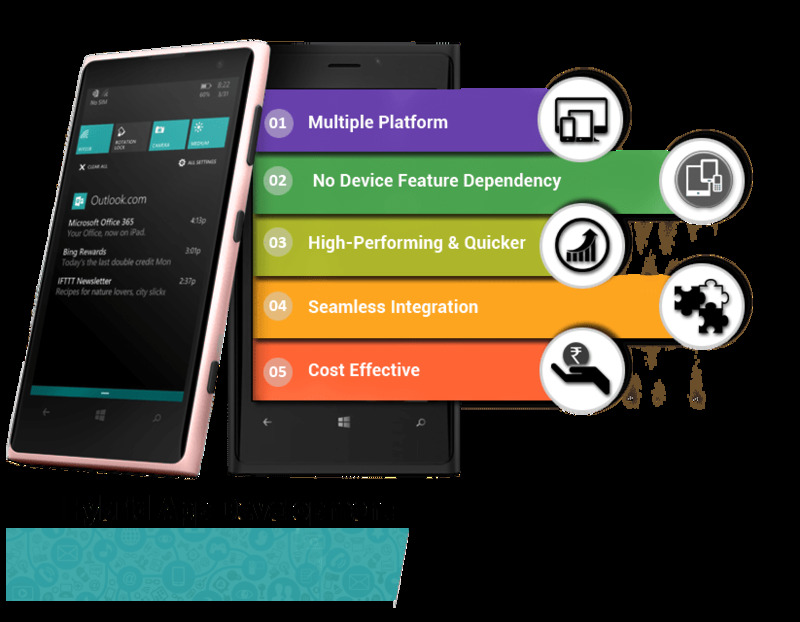 •	Hybrid applications smartly bridge the gap between the smartphones operating system and built-in-functionality and provide all the extra functionality with very little overhead. Intelligent App Solutions is ranked among one of the finest hybrid mobile application development companies. We have a strong team of app developers to make sure your hybrid mobile application services scale as fast as your business.